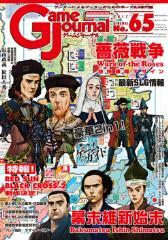 It depicts the conflict of the end of the Edo period from the eve of the Great Government Referee to the Boshin War. The player was in charge of the Tokugawa camp or the Satsuma camp, dispatched leader pieces of their own camps to each clan, set up support, mobilized armies of the clan who gained support, uprooted the army under the command of the leader piece, Acquisition of the government backed by the backing, dispatching troops of its own camp and aim for the suppression of enemy bases. The game was divided into two stages, "at armistice" and "at the time of war". At the time of "armistice", it gained support from each clan / courtroom, and at the "war of war", an important base was mobilized by the army (Kyoshi, Osaka, Edo , Nagasaki, Hakodate, Aizu, Choshu, Satsuma) militarily, raise the confidence of the administration in the "diplomatic negotiation" event, and win by the foreign countries recognizing the legitimacy of the administration. Also, 12 types of event cards, such as "establishing a new government (restoration of the royal government)" "Public Prosecution opinion (Great Government Referee)" "Social unrest spread (yeah not)" "imperial descent (Tokugawa pursuing order)". Can you have a dawn of Japan! What? The player is in charge of the Lancaster camp or the York camp, aims at military unity in order to recover the disorganized and confused British domestic order after the war of the centennial war. As a character, the York school includes "Yokoku Richard", "Edward IV", "Richard III", the Lancaster faction "Henry VI", "Margaret of Anjou" the founder of the Tudor morning "Henry VII" A famous royal aristocrat appeared in British history. From the small battle of a few participating warlords in each game, the army warlords appeared one after another in both games and the battlefield expanded throughout England. Among them, many of the participating warlords are drawn by each player two times from each player cup and added to their own campaigns, so happiness will be unfolded with warlords kicking off, and the circumstances change swiftly for each game. Also, since the medieval warrant belongs to the assigned camp, the famous' King Maker 'famous' King Manufacturer' 'Richard Neville' by Worrik Eric Richard Neville 'will not know which camp to give, its trend will have a major impact on the game. Can you control the confrontation of Lancaster versus York's bone flesh and hold the crown in his hands?